NEED OF THE HOUR – ADOPTION TO A DECENTRALIZED DISTRIBUTED NETWORK? We are seeing technology-driven networks replacing bureaucratically-driven hierarchies,” says VC and futurist Fred Wilson. It seems Big Data buzz has ended, the need of the hour is not on how to gather data but “how to protect it”? How to stop it from being hacked or access by unauthorized third parties. Millennials are maturing not to fall for 50$ free signup; they are looking for ways to still be connected in the virtual world but own their data. While Cloud computing offers benefits like Cost reduction, Scalability, flexibility one of the concern is Data Sovereignty. On similar lines, Open API that is the future of low-cost banking raises concern to customers on how to know who all are using your data? Once a customer authorizes a particular third-party to access their data, how can they be assured it stays with them and is not shared with other third parties? Since ages, we have been governed by centralized authorities and worked with intermediaries. Have you ever fathomed the idea of living without a central power? Be it your family with a head of family or office with a boss or a movement with a leader? On the contrary, we have an inbuilt trait of working with “mutual consensus.” If you do not believe me, imagine yourself driving/walking on the road – while driving you to make sure to follow the rules but there is a mutual trust with fellow drivers that they would follow the rules. A “trust” exists between you and drivers around you. Collaboration is built where all drivers are at the same level – be it if you drive BMW or Fiat. The roads are “open” no barriers no censorship could be applied. Working in a mutually, inclusive environment could help in building a transparent ecosystem. An infrastructure that is trustworthy, robust, dependable, open to development, and accessible from anywhere anytime. 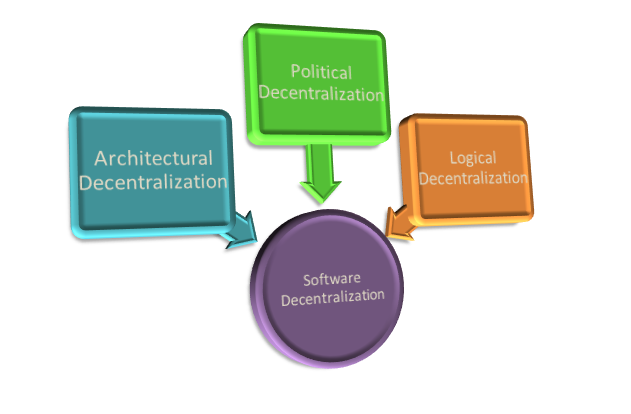 What is Decentralized and Distributed Network? A Distributed network, on the other hand, as Techopedia says – A distributed network is a type of computer network that is spread over different networks.This provides a single data communication network, which can be managed jointly or separately by each network. 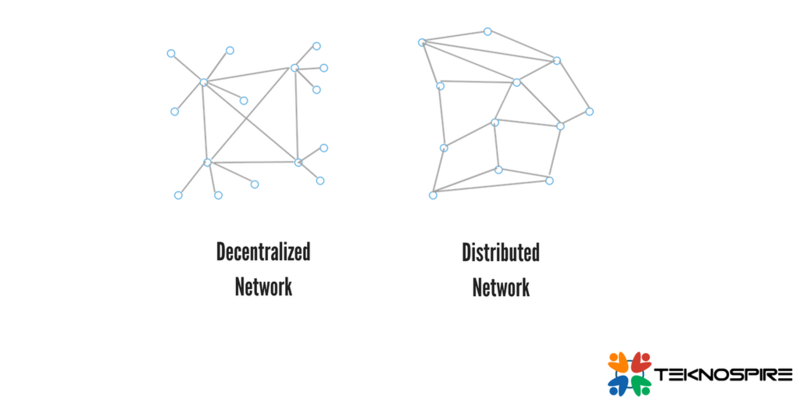 Can a network be both Distributed and Decentralized? Certainly Yes and a classic example is Bitcoin. Bitcoin a cryptocurrency is distributed because it is a timestamped public ledger and resides on multiple computers. However, it is also decentralized because if one node fails it could still operate,i.e.,any network that uses a blockchain alongside other peer-to-peer tools can be distributed and decentralized. Quite recently when Indian government was evaluating the need to force Chinese phone manufacturers to set up servers in India, it was a concern of Data breach or Data leaks. In another move,Apple Inc will store the keys for Chinese iCloud accounts in China itself. On the other hand, while Open Data/Open API helps in availing new business and product models, it also raises concerns about data privacy and data ownership. Integration of Open API or Cloud computing with Distributed and Decentralized database can help in resolving these issues and would be cost-effective. If you want your car to perform on the road, invest in road infrastructure.Road plays a vital role in improving the performance of the car. Similarly creating a decentralized, distributed network and offering Open APIs to perform would enhance the performance of the solutions/products provided by a firm. Just for example if you are keen to know your balance of bitcoin and transaction details or want to integrate it in your financial portfolio app, all you need to do is look for projects that offer Open APIs like BlockCypher or Bitgo or Blocktrail. Build your JSON RPC that could support multiple API calls and get the data. Blockchain info also provides open API to get exchange data from across the bitcoin market, blockchain wallet or charts and statistics to analyze the spending’s. Quite recently Mastercard launched their Blockchain solutions with an offering of Open API for businesses to connect and communicate. The Blockchain solution that addresses the cross-border payments offers flexibility and scalability with open API that could be used by third parties to integrate with their solutions. Another artistic use case of distributed, decentralized network integrated with Open API is Frost. It allows the publishers via their Open API to interact with the network without the need of dealing with private key infrastructure. It lets its users and developers build applications on top of Po.et network. Easy access with the ability to integrate open new dimensions of innovation and boosts network reputation and authenticity. Imagine the cloud as a big excel file, where each cell corresponds to a transaction that is processed and returned to the consumer after processing. Timestamped cell along with the hash key and hard-core encryption could provide authenticity, accountability, security, verifiability, reliability,and compliance. Each data set could be tracked, verified and questions like – Who accessed my data? Who is using my data? Or who governs my data could be answered that too in real time from anywhere anytime. A decentralized based distributed cloud offers on-demand, low-cost and secured access to the competing infrastructures. Cloud computing that is complex and expensive with power and money invested in keeping data centers in AC room. Bringing the data close to the person who owns it and tracing the path could prove to be beneficial for owners and individuals. So, a decentralized based distributed cloud offers computational power in real time along with the benefit of verifying the state and access rights of data. A platform provides traceability, entities who are using or administrating the system with audit trail running in parallel. 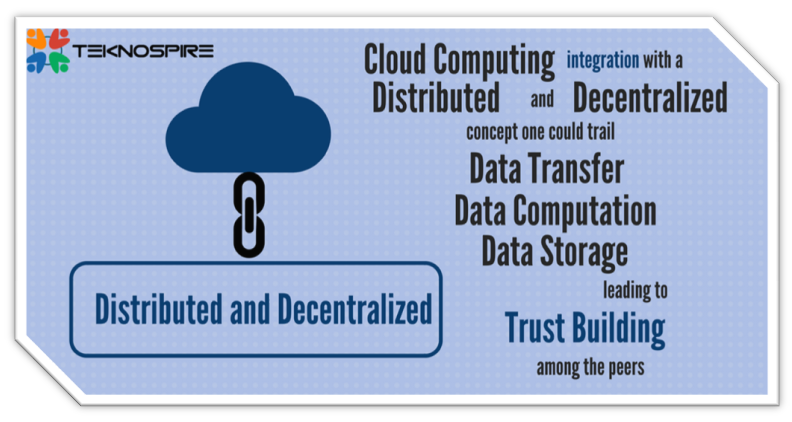 Cloud computing integration with a distributed and decentralized concept one could trail data transfer, data computation, data storage leading to trust building among the peers. With the way technology is advancing, innovation is inevitable. While integrating, deriving and exploring technology the use cases are limitless on what type of infrastructure can be reinvented. But the bottom line remains the same – Be adaptive to change… are you? How can Blockchain Improve Cloud Computing ? A well-designed API would help in providing a stable interface that aids to your API’s consumers better understand, improved developer experience, use and integrate with them while helping you maintain it adequately. If FinTech is for startups then TechFin is for bankers. In 2015 JD Finance recommended using the term “fintech” and in December of 2016 Jack Ma, founder of Alibaba, coined “TechFin”; bringing focus on building technology instead of products. Be it FinTech or TechFin, both should obey the nature of finance. Potential for synergy is high, but then will the 'collaboration' in the long run win?